This origi nally appeared in the August 24, 2018 print edition of the Wall Street Journal By Edward C. Presscott and Lee E. Ohanian. Lee E. Ohanian is a Professor of Economics, and Director of the Ettinger Family Program in Macroeconomic Research at UCLA. The economy isn’t on a “sugar high.” Pro-market policy improved incentives to work and invest. Some Keynesian economists argue that the U.S. economy’s recent uptick is only a “sugar high.” They predict that the slow-growth conditions of the Obama years will soon return. But this pessimistic view is misguided. better economic policies are the primary reason the economy has improved since 2016. If pro-growth policies remain in place, the economy’s strong performance will likely continue. The growth paths in a market economy depend on the quality of government policies and institutions. These affect the incentives to innovate, start a business, hire workers, and invest in physical and human capital. If policies are reformed to increase incentives for market economic activity — as many have been under President Trump and the Republican-controlled Congress — then investment and labor input expand as the economy rises to a higher growth path. Once the economy reaches its new growth path, labor and investment stabilize at higher levels. It’s clear the recovery ended in 2014 because the two hallmarks of recovery — investment’s share of gross domestic product and labor input relative to the adult population — stopped increasing. This left a large gap between actual output and the output level that would have occurred had the economy recovered to its prerecession growth path. According to our calculations, the U.S. cumulatively lost about $18 trillion in income and output between 2007 and 2016. Everything suggested this shortfall would persist or even grow. Yet economic performance began to improve beginning in the first quarter of 2017. Real GDP growth accelerated to about 2.7% between the end of 2016 and the second quarter of 2018, up from about 2% between 2014 and the end of 2016. The share of GDP devoted to nonresidential business investment rose to a historic high. The best measure of labor input — the total number of market hours worked divided by the 16-and-older population — is growing faster than in 2014-2016, and is now close to its all-time high. This is all the more impressive since the growth rate of the working-age population is slowing. Perhaps the most exciting aspect of the current economy: The emergence of better job opportunities has reduced the number of people on disability. This has led the Social Security Administration to reverse its previous warning that the disability system would become insolvent as soon as 2023. U.S. economic performance is the strongest in years. One policy driving this turnaround is the substantially lower corporate-tax rate, which has made the U.S. more competitive with other countries. Regulatory changes — such as the partial rollback of Dodd-Frank and new leadership within the Consumer Financial Protection Bureau — also have proved helpful, particularly for small businesses, which are benefiting from lower record-keeping and compliance costs. Meanwhile, the number of regulatory pages in the Federal Register has been cut by a third since President Obama’s last year in office. That’s a major reason the National Federation of Independent Business reports that more small-business owners are hiring than ever. They’re also increasingly optimistic about the future of the U.S. economy. As the two hallmarks of recovery are still rising, the economy likely has not reached its new, higher growth path. This means that the U.S. can expect from trade are greater than $10,000 a year, according to the Tax Foundation. Further cooperative trade agreements — rather than wide-ranging tariffs — would expand these already large benefits. A second area for reform that could put the U.S. on a still-higher growth path is health care. The rise of health-care costs is the most important reason wages have not increased more for U.S. workers. The extra compensation is swallowed up by health insurance premiums. Expanding medical savings accounts and decoupling health plans from employment would create incentives for both consumers and their health-care providers to economize on health-care spending. This would lower costs without compromising quality. U.S. economic performance over the past decade illustrates the substantial influence of government policies on growth. While some are reluctant to admit it, the current performance is a result of policies that basic economic theory tells us will increase investment and hiring. Even greater prosperity is possible if policy makers stay the course and continue to implement pro-market economic policies. 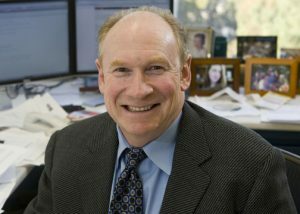 Mr. Prescott, a 2004 Nobel economics laureate, is director for the Center for the Advanced Study in Economic Efficiency at Arizona State University. Mr. Ohanian, a senior fellow at the Hoover Institute, is associate director of the center at ASU.